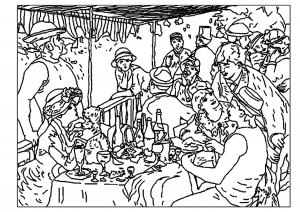 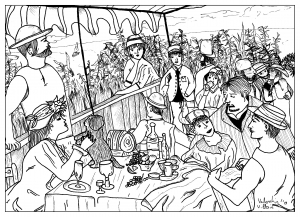 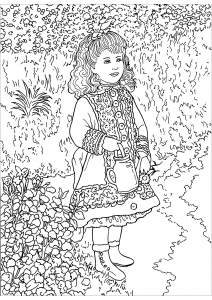 Discover simple coloring pages for kids inspired by the greatest works by Auguste Renoir (1841 - 1919). 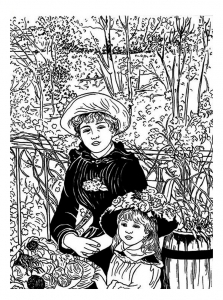 Best known for his paintings of bustling Parisian modernity and leisure in the last three decades of the 19th century, Pierre-Auguste Renoir was a leading painter in the development of the Impressionist style. 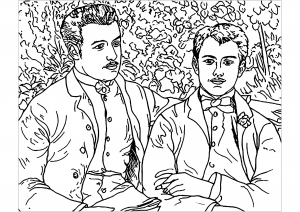 velit, ipsum adipiscing Sed commodo neque.